Home » Featured » Is fake news part of press freedom? Is fake news part of press freedom? ISLAMABAD: The government is under attack and from within. A group of treasury lawmakers has gone haywire. It is fuming with resentment. Awkward questions and unnecessary explanations are source of its frustration. One of them has suffered a heart attack. Others are suffering from acute anxiety. ARY Anchor Arshad Sharif broke this story around two weeks ago. The letter and the list of names were flashed. Was the IB contacted for determining the veracity of the documents attributed to them? No. Is alleging somebody but denying him the right to clarify is freedom of the press? No, absolutely not. Airing fabricated information put at stake the lives and reputation of those alleged for terror connection. In addition, the agency was maligned for no fault of it. The “disclosure” triggered panic among the accused lawmakers who thought the government had tasked the IB to fix them. This would have been a great scoop had this been based on facts. Journalism is for holding the powerful to account. Accusers and the accused were rather left pleading their innocence is what happened in this case. A minister named in the list rang to DG IB Aftab Sultan. “So finally you have made us allies of terrorists,” he asked to the embarrassment of the spy chief, a thorough gentleman and professionally upright officer. Aftab explained at length to satisfy him and outright denied the existence of such a letter. But that minister was not the only aggrieved lawmaker. The spy agency finally went public in a rare act of releasing official denial. Rightly so, because these are not the normal circumstances. The IB is under attack from all sides. Imran Khan is after Aftab Sultan, the man who has brought the IB at par with ISI in terms of capacity and capability. He demanded the resignation of the IB chief on mere baseless allegations. At legal front, a low-ranking agency employee filed a petition accusing the IB’s top management of serving foreign agenda and demanded a probe through the ISI. A battery of anchors appears to spare no chance of attacking this civilian intelligence outfit. Being critical and probing is not a crime; the bashing on baseless allegations is. Broadcasting of this fake letter is just one example. While the low-ranking employee and ARY have the same lawyer for two different cases against IB, the PTI is there to offer unconditional support. What a small world! As the agency issued a clarification terming the letter fake, the channel host refused to accept this. He insisted the letter was genuine and that he stood by his story. How to judge the veracity of his claim came under question. The IB finally lodged a complaint with the electronic media regulator, Pemra, that deals with such matters. Instead of producing any evidence in his defence before the Pemra Council of Complaints (CoC), the TV channel filed petitions simultaneously to the Islamabad High Court and Sindh High Court praying the proceedings of the CoC stopped. The IHC has granted stay order until hearing of the case on Oct 31. This means the CoC can’t hear the case unless the IHC decides. 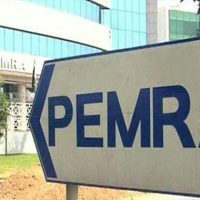 Right now, there are around 600 cases of Pemra stayed or pending in high courts and as many as 29 in the Supreme Court. Stays are being granted even on show-cause notices. Whether the CoC will be able to conclude this channel versus IB case anytime soon in this situation? There is less to no chance. Meanwhile, the IB has used another legal channel. The agency has registered an FIR for probing that who circulated this fake letter to the media. This has triggered resentment in the journalist community. Many interpret it as an attempt to harass journalists. Others call it an attack on the freedom of the press. The Rawalpindi/Islamabad Union of Journalists has constituted a fact-finding committee. The ongoing debate in the media appears to have been based on misleading facts. Knowing the reality is important before taking a position on this issue. There are two main points that garnered attention of the media. The first is about the host’s appearance before the CoC where the IB representative reportedly threatened he would “drag him to the court” and the second is related to the FIR. One must object the choice of word employed by the IB officer. He could have conveyed in a better manner about his organisation’s legitimate right to pursue legal course of action through the court. However, this was not the only discussion that took place in the CoC meeting. The fact finding committee of journalists must request Pemra for the minutes of meetings to know who said what and how they reached the point of “dragging” to the court. As a journalist, we are supposed to provide both sides of the story, and, in this case, version of the both individuals. On the question of defence of the letter, no evidence was provided to establish its authenticity. Instead, the IB’s past record that the agency had been into dirty practices was used as “evidence” to suggest this letter could be genuine. If the past record is considered evidence, the IB representative could have fired back by producing stories of the accused anchor which turned out fake. Will that be considered a plausible argument to establish the letter was fake? No. He, instead, focused on reference number of the letter, the font used and expression employed to suggest that it was fake. The letter has also been sent for forensic examination to prove the point further. As far as the FIR is concerned, nowhere the anchor has been named. It is rather against anonymous leakers. What journalists should do? We must stand with the truth. And there is no better insurance against threats to press freedom than letting the truth prevail. In the news business, we all make mistakes, and the harm occurs when we don’t admit. When we don’t admit, we don’t learn. Let me start from my own admission. I had wrongly reported some facts about the kidnapping of Pakistan’s ambassador to Afghanistan, Tariq Azizuddin in 2008 and apologised in writing the very next day. Ahmed Noorani, my colleague, has done this only recently after his story about the JIT turned out false. Imagine the anchor had admitted his error of judgement and agreed that he should have verified before making it public. This admission would have been appreciated even by the victims. Nobody would have asked him to resign as we tend to demand from everybody else. We consider it our duty to preach moral ground to others and when to resign but lose this ground in the event of a credibility crisis. If our ego is bruised just by tendering apology, then verifying the facts beforehand is the best way to save it. If the lack of accountability weakens political system and democracy, how can we ensure freedom of press without it?